With the main cast of Iron Man 3 receiving their own character posters, it’s only right that Tony Stark’s better half gets her own. 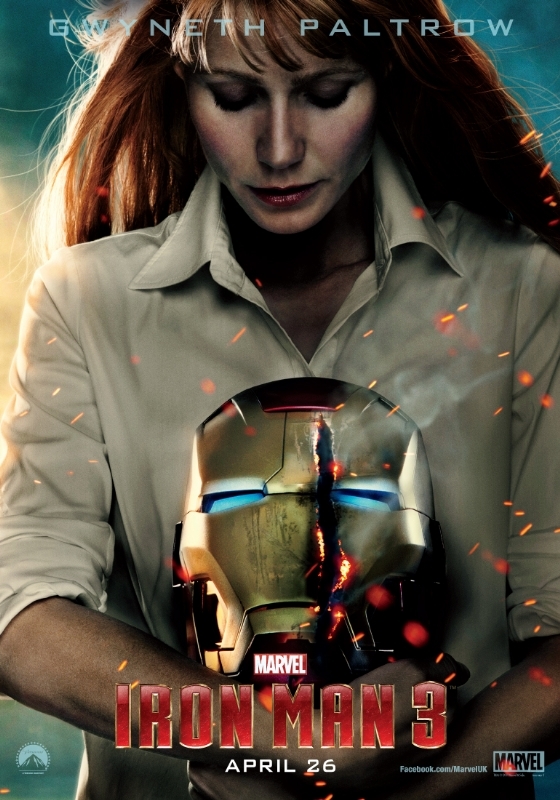 Gwyneth Paltrow’s Pepper Potts looks distraught holding a heavily damaged Iron Man helmet. Curiously enough, the helmet is still powered on — or it’s just a stylistic choice. Iron Man 3 releases in theaters May 3.